FORWARD Ep. 11 Resonate, Soul! Hikami Daiko | jibtv.com | Japan International Broadcasting Inc.
Wadaiko Japanese drums are an important part of the country's traditional performing arts. 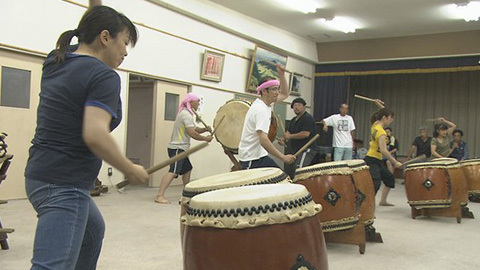 This program follows a group from Rikuzentakata that specializes in the Hikamidaiko style. The group lost seven of its members in last year's tsunami and was unable to continue its activities. Since then, though, the remaining members have reunited, with the desire to bring some cheer to the disaster-hit Tohoku region.